Having building or decorating work done at your house or business premises can be a great experience. It allows you to fix and add things to your property, as well as completely transform it. It can be tough work to get this done but when the dust clears you can enjoy all the new features and designs. However, you can’t get excited yet as you have to deal with the clear-out. Rubbish disposal is a step that must be taken so all the junk and leftover materials are gone. This can be challenging but only if you do it alone. With the help of Go Rubbish Go it will be easy. 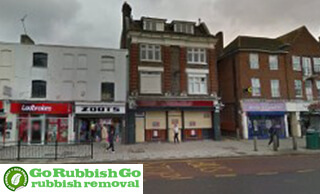 We are a professional Eltham rubbish removal firm that can handle all the hard for you. We can provide you with a huge variety of SE9 waste clearance services. All you need to do is get in touch with us on 020 8610 9182. Over the phone, our staff will present our services and answer all your questions. They will make sure you have all the info you need to hire the service that best suits your needs. We offer flexible rubbish removal solutions that can be tailored to fit your budget. Get a free quote with no strings attached today! The quote reflects the services you want from us and this is the sum you will be required to pay at the end of the job – we have no hidden charges to surprise you with. You can get the best deal if you call us now. Hire the right Eltham waste removal service for you at a price you can afford. When you hire us to handle your rubbish clearance in Eltham, SE12, you are guaranteed to get the best service. We have many years of experience in the waste collection business and we will use it to help you. We can handle a wide range of items including domestic junk, clutter, construction debris and more. Whatever you need removing, we have you covered. We will be there when you need us and can send as many waste collectors as necessary to get the job done. Our team are flexible and care for the environment. We will make sure that your items are sent for recycling. They will take great care when doing each step of the process so no accidents or injuries occur. We train our staff to ensure you get the professional waste disposal SE9 service you have hired us for. I don’t know what I would have done without their rubbish clearance services in SE9. They helped me remove all the junk left over from building work in my home in Eltham – I had no idea what to do with it. They made things easy and did it for a low price. Will hire them again! Having builders junk and rubbish on your site can be inconvenient and ruin the appearance of your property. Get rid of it all by hiring our efficient rubbish removal service in Eltham. Call 020 8610 9182 and will send you a fast acting team in SE9. Our team know how to handle any type of junk and the best way to remove it from any property so they will ensure the job is done smoothly and quickly. The job can be done at short notice as we offer same day services and can come to you on weekends and even on bank holidays. We know the importance of delivering quick waste disposal results, so we won’t waste any time of your precious time. We will get to work the moment you call us! 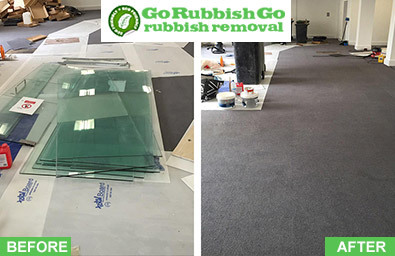 With Go Rubbish Go you are guaranteed to get top-tier rubbish disposal Eltham services at low prices. We are committed to delivering 100% customer satisfaction. 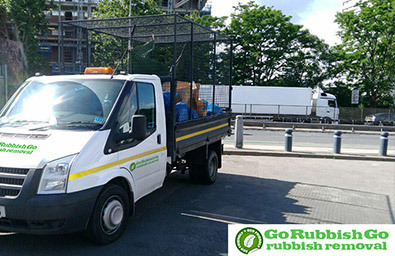 We go above and beyond to make sure you get the waste collection in Eltham you desire and they are completed in a way that suits you. Our team have the experience, skills, and knowledge to tackle any waste disposal chore and get it done fully, properly and safely. We guarantee that the job will be completed to a high standard and that the price is the lowest locally. They will collect, transport and dispose of your rubbish, giving you peace of mind that most of your items will be recycled or reused. To get your free no obligation quote, call 020 8610 9182 today! Eltham is a suburban area in the south east of London, within the Royal Borough of Greenwich. It is 8.7 miles away from Charing Cross. The area is an old one, and began as part of a road between London and Maidstone. Its proximity to the English Channel made it an important place. It is close to Shooters Hill, Falconwood, Avery Hill, New Eltham, Mottingham, Lee, Kidbrooke and Blackheath. There are many parks and open spaces in the area, such as Avery Hill, Oxleas Woods, Sutcliffe Park and the Royal Blackheath Golf Course. The population is around 63,000 people. The town centre features various amenities but a modest nightlife. Many sports facilities can be found in Eltham. The area is not served by the London underground.